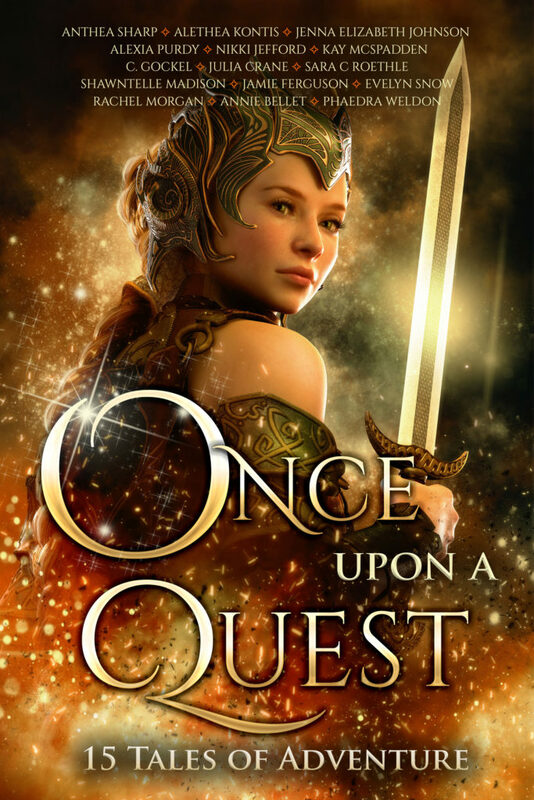 The “Once Upon” series has been so much fun to be a part of…I’m honored to have been included since the first volume. We’ve done Curses and Kisses…this time, it’s all about Quests! And THIS COVER! 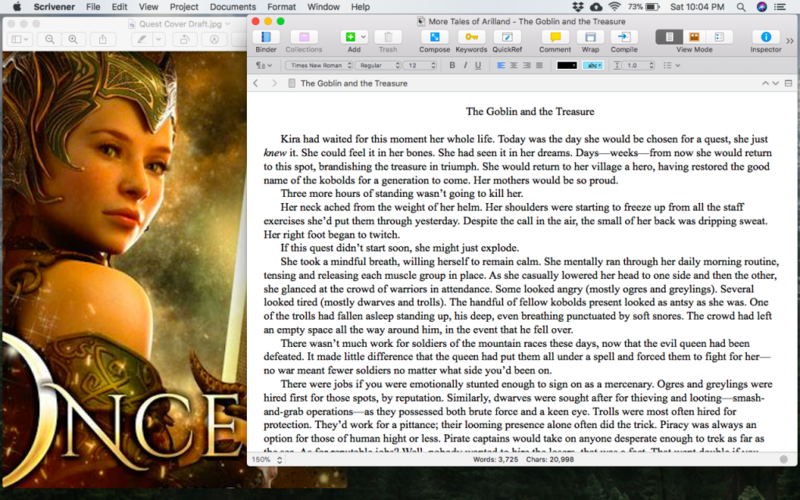 Christine shared the art she was going to use before I started writing my story, and I was so incredibly inspired that the character Kira Kobold was 100% based on our cover model. Like, I’m not even kidding. The way I set up my computer screen, “Kira” stared at me with all that warrior-like intensity the entire time I was writing. LIMITED TIME: 99 cents across all platforms! Contains Alethea’s short story “The Goblin and the Treasure,” a fairy tale retelling of Hans Christian Andersen. 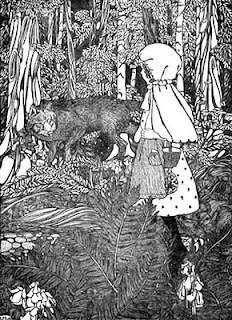 I had the good fortune of stumbling across a tweet a few months ago, advertising that Enchanted Conversations was accepting submissions for a “Little Red Riding Hood” themed anthology of fiction stories. It was a wonderful discovery, because not only did I have a new place to submit to, but they also have a bunch of great stuff in the archives to read. All the issues have fairy tale themes. Why did I not know about this before? It’s a shame. It’s even more of a shame now, since it’s been announced that the Little Red Riding Hood issue will be the last issue of Enchanted Conversations to be published. Thankfully all the stories are still archived, and hopefully they all will continue to be…including mine. That’s right! My story, called “Hero Worship”, will be featured in this final issue. I’ll let you know when this goes live.